Red Bull F1 boss Christian Horner has urged Pierre Gasly to be given time to flourish, following his disappointing Australian GP. Red Bull Formula 1 team principal Christian Horner has backed new signing Pierre Gasly following a low-key performance at the Australian Grand Prix. Gasly was left 17th on the grid in Melbourne after being eliminated from qualifying in Q1 when Red Bull’s “optimistic” strategy of running for one-time lap backfired, before he only managed to recover to 11th in what marked a disappointing grand prix debut with the team. In contrast, teammate Max Verstappen was able to qualify fourth on the grid and went on to take third and claim Honda’s first podium since 2008 as it kicked off its new partnership with Red Bull on a positive note. Asked if the Frenchman was already under pressure, Horner told Sky Sports: “It’s still early days. There's always pressure in Formula 1 but I thought he drove a good race. Horner reckons Gasly was unfortunate not to get a point and believes his new driver lost out due to running behind a train of cars all within DRS range of each other, meaning Gasly could not take advantage of the additional straight-line speed boost. "Unfortunately he ended up in that DRS train,” Horner explained. 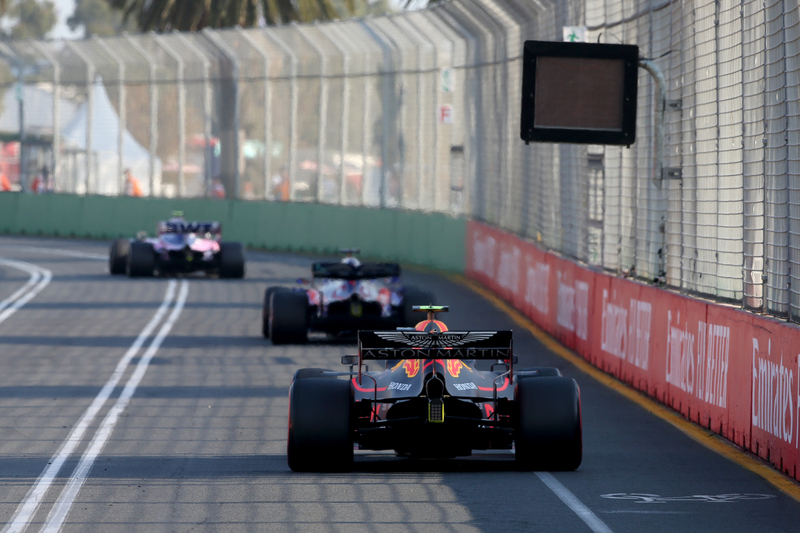 Gasly highlighted the difficulty of overtaking at Melbourne as being the key to him not being able to recover into the points. "Starting 17th we knew to make it back into the top 10 on a track like this is difficult," he said. "Last year there were four overtakings overall in the race, I'm not sure there were many more this year. "I tried to give everything but unfortunately was just out of the points. I had some debris in the front wing, they told me, and we were in the pack with DRS, and even with DRS I could not catch the Toro Rossos in the straight. We saw they have really strong top speed all weekend."